I'm not sure how I've gotten this far in life without knowing that Buffalo Chicken Dip exists. I like wings, I like hot sauce, I like buffalo chicken sandwiches and buffalo chicken pizza. I was happy to find this recipe on From Cupcakes to Caviar. Janet certainly knew what she was about with this recipe. Click on over to her blog and take a look at the simple delicious awesomeness of this dip. I laughed at her picture because she's right...it's hard to take a picture of dip. A picture couldn't do it justice anyway. Prepare it in advance and stick it in the fridge. Throw it in the oven when you're ready. Then dig in. 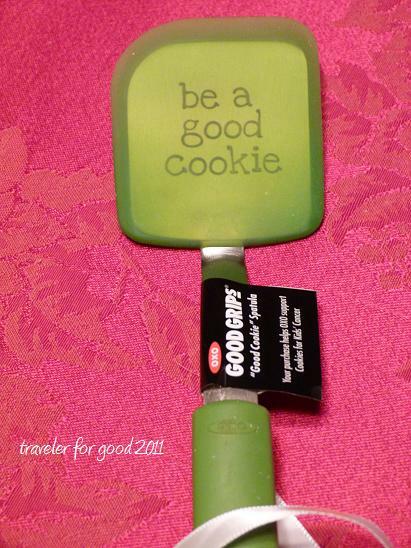 **OXO Good Cookie Spatula Giveaway! This has nothing to do with buffalo chicken dip, except that you could use the spatula to shovel this dip directly into your mouth. Thursday December 15, is the last day to post a comment here to win a new spatula of your own (and support a good cause). 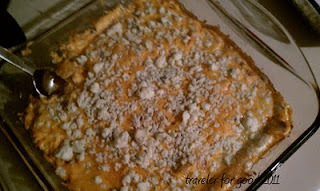 Buffalo chicken dip? I didn't know this existed either, but now I need to have some!